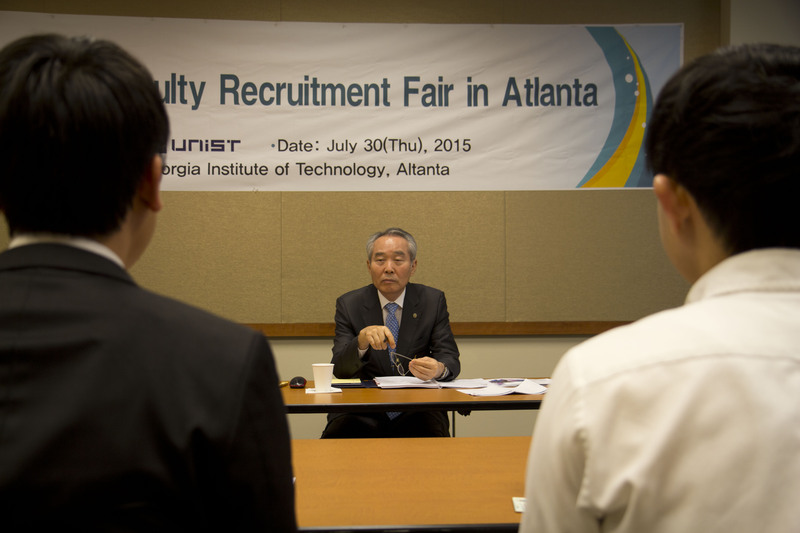 During the interview with President Cho at the UNIST Faculty Recruitment Fair, held at Georgia Institute of Technology, U.S on July 31, 2015. UNIST President to attend the 2015 UKC, held from July 29 to August 1, 2015. Ensuring high levels of faculty through the recruitment of top international faculty. Over 1,300 leading researchers from the U.S. and S. Korea gathered at the 2015 US-Korea Conference on Science, Technology and Entrepreneurship (UKC) to present their research findings within their respective area of expertise and discuss the most recent trends in technology-based products. The UKC is an annual technical conference of Korean-American Scientists and Engineers Association (KSEA). The purpose of this event is to promote networking among participants to allow scientific collaboration between the two countries, as well as to provide young scientists and engineers with an opportunity to learn about and explore their career opportunities. This year’s UKC was attended by many big companies and S&T institutions, including Samsung, LG Chemical, Hyundai Motor Company, KAIST, DGIST, and UNIST was no exception. The primary purpose for UNIST to attend the 2015 UKC was to attract talented early-career researchers from all over the world. 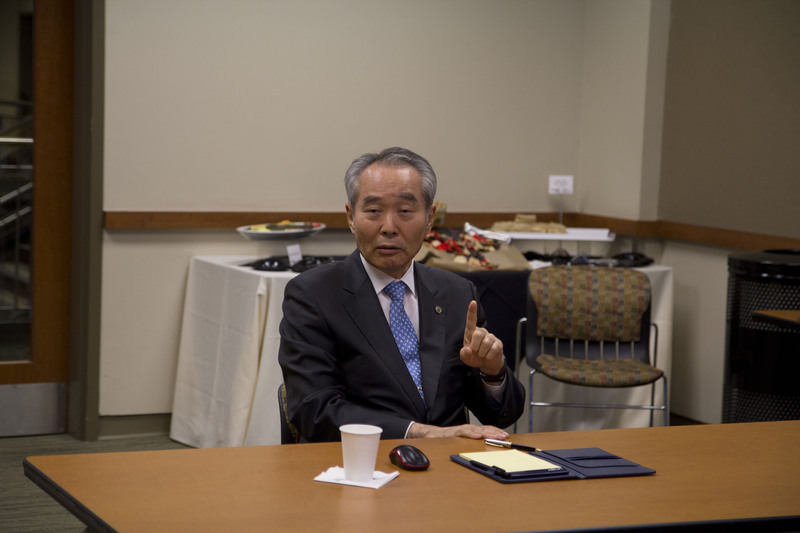 During his stay in Atlanta, President Cho and Prof. Han Gi Chae (School of Material Science) also visited Georgia Institute of Technology to attract more young, aspiring and junior scientists. 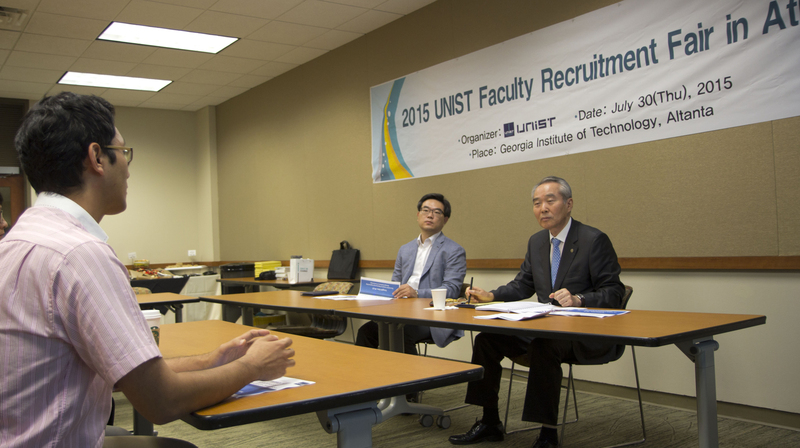 The 2015 UKC was a four-day conference, co-organized by the Korean-American Scientists and Engineers Association (KSEA) and The Korean Federation of Science and Technology Societies (KOFST) between July 29 and August 1, 2015. The theme of this year’s UKC was “Pursuing Excellence with a Servant’s Heart” and its goal is to promote the spirit of service in pursuing technical excellence by exemplifying those who have led such a life of service.